Okay, so reading itself isn’t returning (cause y’all know I’m addicted). Instead, this is the return of book reviews! I’ve been reading up a storm this month — you can keep tabs on what pages I’m turning on the right hand side of the page. I should also really clean up/update my “books” page. (I need to get my laptop working again so I can use my delightful publishing software…) Onto the books! Larson’s newest book tells the story of the Dodd family living in Berlin during Hitler’s rise to power. The father, William Dodd, served as the United State’s ambassador to Germany at the time. Most of the story is told through the point of view of William and his daughter Martha. Martha, quite the floozy, loves the intrigue of the Nazi party and its members. Her exploits through the book, including a serious relationship with a member of the KGB’s predecessor, were quite astonishing especially given the time period. I never really got attached to any of the characters, but I did find their lives very interesting. I also kept having to remind myself that this was non-fiction. Larson tells his stories so well that you would swear you’re reading a fictional thriller. The ending is a bit of a downer but I suppose I shouldn’t have expected rainbows and sunshine at the end of a book about the rise of Hitler. I’d definitely recommend In the Garden of Beasts to anyone who is interested in the time period, enjoys political intrigue, or enjoys very well written non-fiction. 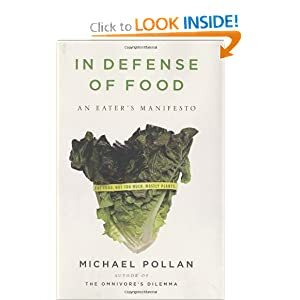 After reading Omnivore’s Dilemma, I was curious to read more from Michael Pollan. In Defense of Food flew by for me and I felt like this book was much more relatable than Omnivore’s Dilemma. Pollan discusses the current obsession with “nutrients” and some interesting paradoxes in the Western world. For example, Western doctors often find obese patients with vitamin deficiencies that are normally only found in malnourished populations. Their hypothesis, and one of the largest components of Pollan’s book, is that we’ve stopped eating food. That sounds weird, but it doesn’t seem to be too far from the truth. We’ve made eating so easy and refined food products so much, that a lot of what we put in our bodies doesn’t resemble real food — the kinds of things our grandparents ate growing up. Because of this, we put a lot of “food products” into our body but not as much nutrition. Scientists try to fill this gap by isolating nutrients (like Omega-3s or saturated fats) and painting them as good or bad. The “good” nutrients become fads and food scientists find ways to inject them into foods that they would never occur in naturally. Because it’s not a natural occurrence, we don’t reap as much of the benefits. It’s starting to become obvious that it’s not just one nutrient, but the interaction of a group of nutrients from various foods, that cause good health benefits. With that in mind, Pollan encourages readers to Eat food. Not too much. Mostly plants. He breaks down this (seemingly logical) advice into real world applications in the final section. Unlike Omnivore’s Dilemma, most of the information and advice given was very relatable. I finished the book and wanted to go immediately to a Farmer’s Market. I’d highly recommend this book — it’s a fast read and very informative. I think we should all know more about what and how we eat! Y’all, it smells like cheese in my office. Don’t read this wrong. I’m not saying “ewwww it smells like cheese.” It’s not a bad thing (really). Someone is eating cheese nearby, I can just tell. (I smell it.) And, whoa boy does this make me want some cheese. I set a new personal distance record on Saturday! Hubs and I ran six miles Saturday am. It wasn’t speedy, but it was almost fun. Like my four miler on Thursday, there was never really a point where I absolutely hated what I was doing/really, really wanted to stop. It’s so hard for me to believe that I’ll be running more than double that distance in a month and a half or so. Whoa! On Friday, Hubs and I joined our friends for our first night out in three weeks at Truckeroo! Truckeroo is a gathering of about twenty of DC’s food trucks; it’s happening once a month through October at “Das Bullpen” near Nationals’ Park. Hubs and I split an order of Poutine from “Eat Wonky.” Hubs then got soft shell crab tacos (not kidding) from Sabora Street while I dined on Ethiopian cuisine from the Fojol Brothers. Holy YUM! I had the berbere beef (slightly spicy but so flavorful) and shiro (which was so good that I can’t even describe it) complimented (and consumed) by inerja (Ethiopian sponge bread). I was stuffed and the meal was just $7. Let’s just say I cannot wait to get my hands on some more Fojol Brother’s Cuisine! I decided to round out my evening with a trip to the Pleasant Pops truck where I scored a summer peach pop (which tasted exactly like a huge, juicy peach) and a lei. Speaking of being hungry, Hubs has undertaken something slightly crazy this week. He watched some documentary on Netflix about an Austrailian man who did a 60 day juice fast to help with his medical conditions and weight. By the end of his fast (which was overseen by a doctor) he had lost a decent amount of weight and was on little to no medication to treat his (now prior) medical conditions. Hubs thought it sounded interesting and, after our indulgent weekend, he decided to give it a go for the next five days. How was your weekend? Have you ever tried any kind of “raw” diet? The apartment is silent this morning. The apartment is currently Buddy-less. (Buddy Free?) The Hound is having a one day staycation with our vet at Ballston Animal Hospital so he can get a little more wound care. It looks like we’re going to avoid stitches and staples to close his wound so that’s good news! We just have to be patient and wait for his body to do its thing. After being in the apartment around the clock a lot and constantly with the dog for the past week and a half, it feels kind of like freedom to be by myself. But, I’m working so I can’t go anywhere and, really, I’d rather have my little dog around. He’s such a sweetie and I’m already looking forward to getting him back from the vet this afternoon for some pets and TLC. He has been a lot of work and a lot of worry over the past 10 or so days, but I would do it all again and will continue to do it. Dinner at The Cajun Experience, Graffiato, and Lincoln. Clearly, a lot of this revolves around eating. Maybe because I’m hungry? 🙂 I think it’s time for some lunch. Today features a recreation of yesterday’s lunch: SlowCooker Red Beans and Rice mixed with Mmm sauce to chill out the spice a little. The result is creamy and DELICIOUS! Tagged as DC Summer, eats, Farmers Market, Food trucks, hound, Renn Fest, Restaurant Week, things I want to do! Here’s a little Anna factoid for you: I am prone to anxiety. Fortunately my anxiety is not debilitating and panic attacks are rare things for me. But, I do seem to love a good worry. I really envy people who are able to look at a situation, consider the facts, and move forward. Also, the people who don’t “what if” a situation to death. However, along with many wonderful traits, my family also carries a predisposition to anxiety and mild depression. Yum. My current worry? We took Buddy for his first follow up appointment this afternoon. Buddy is looking great – aside from his wound on his tummy. I’ll skip all the nasty details. Basically, the vet wants us to hold a warm compress to his wound for five minutes or so 3-4 times a day. This seems to feel good as Buddy settles down as soon as the warm compress hits his skin. Poor little guy. We have another follow up appointment on Thursday. From that point the vet will decide if he needs to have his wound cleaned and closed with staples or stitches. This is where I start to worry things around in my mind. Worries: I don’t want him to get an infection. I don’t want him to be in pain. If he has to have the wound closed by the vets, what is that going to cost? If they use staples, how long do those have to stay in? Right now, Hubs and I have enough telework approval to stay home with him until the first set of staples (from all his cuts) come out. But, if he has to get another set of staples, I don’t know if one of us can stay home with him. He should be fine in his crate — but I worry he’ll get his e-collar hung up on something or find a way to lick/nibble at his wound and staples. End crazy. Okay, so I need to leave this alone. I don’t know if he’s even going to need staples. We could wake up in the morning (after three hot compresses and another good night’s sleep) and his skin could look healthy and pink. It could look even better Thursday morning. And, if that’s the case then I’ve wound myself up for no good reason. I think I’m a little tense tonight because Hubs is going into work for the rest of the week and I’ll be home alone with the little guy. I’m so fearful of hurting him somehow or exacerbating his injuries. I know he’s a tough little guy and I’ve handled things with Hubs around often enough to know what I’m doing with Buddy-care. But it’s still nerve wracking. I love a good deal. Seriously, love it. So, I love getting emails from LivingSocial (and Groupon). You never know what they’re going to give you! Arganica is the mid-Atlantic’s premier locally sourced food club. Joining Arganica gives you year-round access to an amazing variety of local farm-fresh, artisan and organic foods delivered directly to your door every week . Our aim is to bring you the freshest and widest selection of offerings from our local producer network, while saving you time and money. 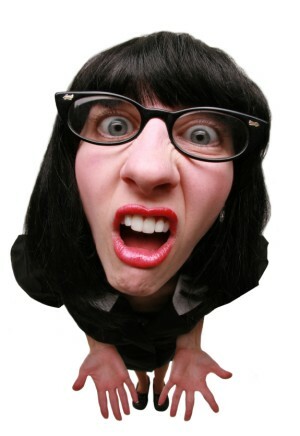 We think buying local should be easy…not work! The deal we purchased included a three month membership, two local crates (filled with whatever is freshest), and a $25 credit. Earlier this week, when we found out that we would be staying in town for the long weeked with Buddy, we decided to order our first crate for Sunday delivery. So, bright and early Sunday (almost 6:30 am on the nose) the Arganica delivery guy called to hand over our first crate! Opening that crate was like fresh food Christmas morning! Contained within our crate: Kale and Rainbow Chard from Lady Moon Farms, four delicious looking peaches, two pears, two plums, two lemons, two oranges, three purple potatoes (!!! ), a yellow onion, a purple onion, and four large heirloom tomatoes. Not bad considering the fact that this crate is only $25!! I feel like someone did half my grocery shopping for me and brought back all kinds of surprises. Oh, and check this out, you can order just about EVERYTHING through Arganica. You name it, everything from produce to fresh meat, milk, other dairy products, honey, breads, beer, etc. It really is amazing how much locally sourced deliciousness they’ll bring to your door. So, this morning over coffee we made our menu for the week. With very little planning, we’ll be able to use every since delicious bite of fresh produce. I already cannot wait to order our next crate!